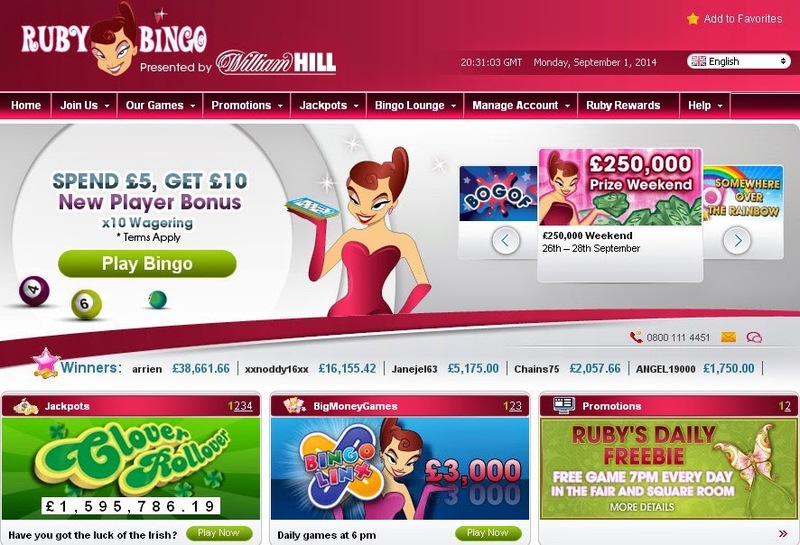 About Bingo Ruby Bingo is owned and operated by William Hill which has over 70 years experience in the gambling sector. The design of this site is a rich ruby red with some bubbly animations and an easy to navigate layout, with such a welcoming home page you are sure to be enticed and ready to play in no time. 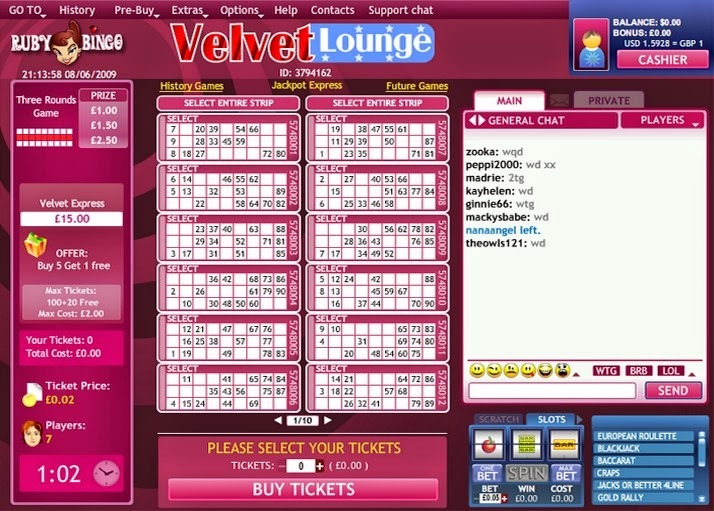 Ruby Bingo moved from the Playtech gaming platform to the newly acquired, much more impressive, Virtue Fusion software to provide its players with a great choice of games including 75 ball bingo, 80 ball bingo, 90 ball bingo, scratch cards, slots and fun packed multi player slots that allow you to compete against other players for the chance to win huge cash jackpots. 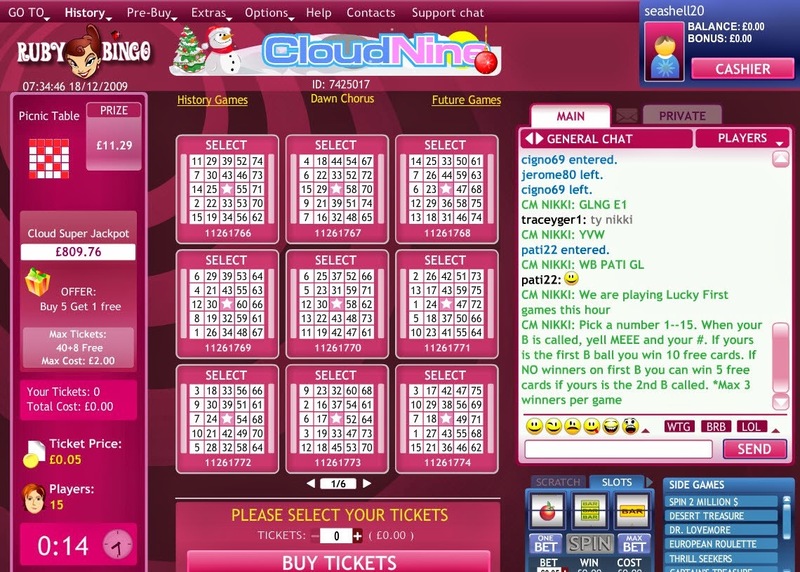 With a great range of games and some excellent promotions, Ruby Bingo is a great choice regardless of whether you’re an online bingo veteran or you’re just starting out. New Player Bonus Ruby Bingo has a £5 free bingo gift waiting for every new player when you register an account, with no deposit even required to claim your first £5 free bonus. You will be allowed to keep up to £200 winnings from your bingo bonus once you've met the wagering requirements of at least 10x the bonus, ie £50 spend on bingo tickets. Second Deposit Bonus When you make your first deposit, Ruby Bingo will also give you 300% first deposit bonus up to £50 maximum free bingo bonus. There's loads of free bingo tickets to be found from regular promotions plus BOGOF games along with weekly and monthly prize promotions., Everytime you play at Ruby Bingo, you will be rewarded with a 10% bonus back up to £50 every week! The 10% bonus will be based on your total losses on bingo tickets purchased from your cash balance, and will be credited to your bonus account on Friday. Ruby Bingo runs guaranteed jackpot games seven days a week with prizes ranging from £75 upwards but the really big money comes through their Bingo Linx games which take place daily.